Want to be in the Spotlight? Click Here! On this job board you will see our customer list and the amount of USD we are willing to pay you via paypal to spotlight them on your blog. A spotlight is just like a commercial and when completed properly I pay you cash. Pick any of the customers we have below, research them and write about their blog, products or services on your blog sharing this info with all your readers. Once your done writing the spotlight e-mail me admin (@) blogengage dot com with a link to your spotlight and your paypal information. I will review the spotlight and if approved I will send the payment to your paypal. We will pay up to a max of 4 USD per approved Business Spotlight you write for us. Please do not write 15 spotlights and send me 15 links all at once. When you complete each spotlight e-mail me admin (@) blogengage dot com with a link to your spotlight and your paypal information. I will review the spotlight and if approved we will send the payment to your paypal. 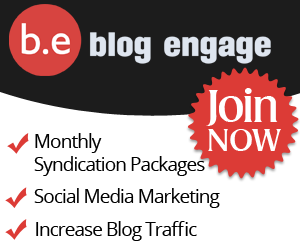 If you decide to stop blogging and are going to drop your blog please to contact us and sell us your blog at cost. We want to maintain the spotlights online and if this means taking over your domain name we are most interested in doing so. Let me clarify that I’m not offering to buy your blog at profit I am willing to take over payments and ownership if you decide to stop blogging. So let me get this straight…we can submit reviews of our own blogs and have them hi-lighted here? sounds great, I would like to try this, as it seems there is nothing to be lost – only earned, and it’s even over payPal. The rules that are set, for having fresh content, being there for more then 6 months, having do follow links etc are all logical, of course, for the reason of making sure things are done properly and are up to date. I am going to take this into consideration seriously. Thanks for sharing this, Blog Engage Contests are great and now earning by spotlight idea is also great and i will try this today. Looks interesting. Have you had much success with this program or does a lot of people join or show interest? Hi Melvin, it’s a low start but I think it’s going to work out fine. In order to still make money I had to reduce it to Business Customers only starting from this month on. Everything that brings money cheer me up 🙂 I’ll definitely gonna check blogengage later on. Thanks for heads up! Private ad sales directly to advertisers have fallen for me in the last year (they previously ranked #3 on this list). This is partly due to a change in my own focus but also partly due to the economy as it is. I should note that this area does vary a little from month to month depending upon the campaigns we’re asked to run – we’ve had a couple of months where it actually ranked #2 in the last year. Too bad my blog is only on the 4th month, wanted to try this out.. This is an interesting approach by far. Do we pay you or you pay the blog owner? 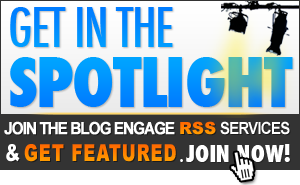 Is it possible to have your own blog in a spotlight? Whoa! I never know that there is something like this. Gonna be using this my blog is 6months I’m getting there.. How about if I want to have my blog to be on the spotlight? is it possible? Hey Brian, this sounds great but I got an few questions. If I just started a blog can I do this then? I live in Holland is that an problem?